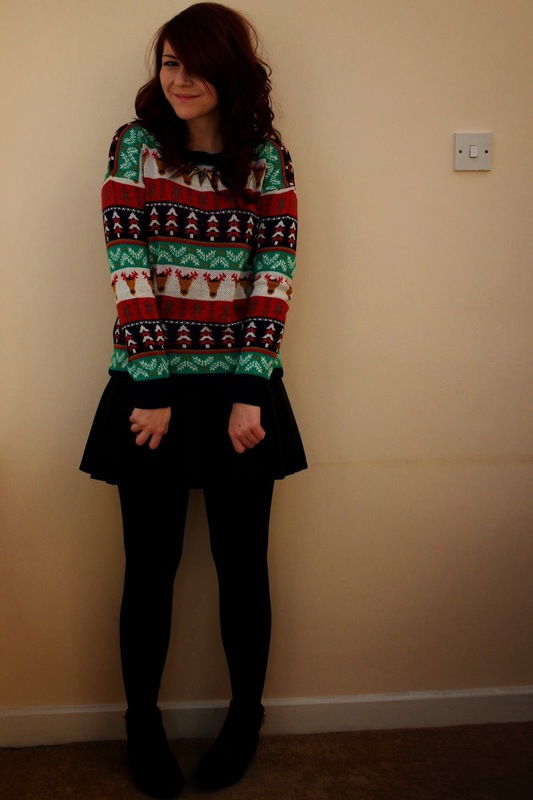 Did you know that tomorrow is National Christmas Jumper Day? Yes that is a thing! I had no idea until ASOS got in touch with me a few weeks ago and asked me to chose a festive jumper to celebrate the day in! Now unfortunately I will be spending tomorrow in job interviews and Christmas parties, so no Christmas jumper wearing for me, but I've definitely gotten a LOT of wear out of this jumper already. Might have worn it five times in one week. I love how it's just spectacularly garish. 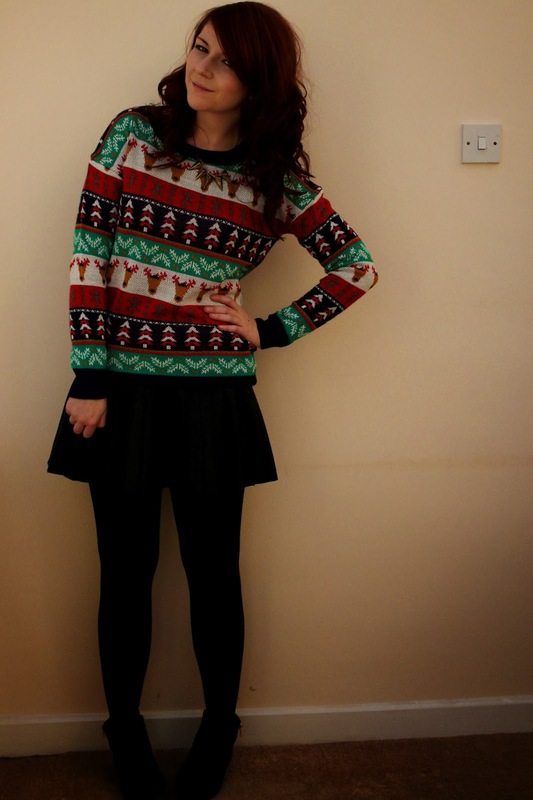 If you're gonna wear a Christmas jumper, you should definitely go big or go home! Well when I started writing this post this morning I was going to tell you all about my nice day nipping into town for Christmas bits, wrapping presents listening to Christmas music, working on job application stuff and getting ready for a good strength workout. But then I decided I fancied a snack, and went to make some crisps. And then my day went in a slightly different direction. Caution: Keep your fingers away from the mandolin. I ended up cutting my finger (later finding out I'd actually cut a chunk off! ), bleeding all over the kitchen floor whilst trying to find a plaster, bleeding through the plaster I'd found and resorting to going to my neighbours' to help me bandage it up. To cut a long story short, I ended up needing to go to A and E where they confirmed that there is a bit of my finger missing (yep, just like Chandler's toe!) and bandaged it all up for me. I got a taxi home, cleaned what looked like a murder scene from the floor and now I am feeling a bit woozy and have cancelled my evening plans and workout in favour of not fainting! I've got to wear a big bandage now for a few days, which will be great for my job interview tomorrow and for Phil's Christmas party! TL; DR- Wear your Christmas jumper, don't cut your finger off. Oscar needs his own Twitter account or something. I love otters (even toy ones). Aw I'm sorry about your finger! I hope it starts feeling better soon. 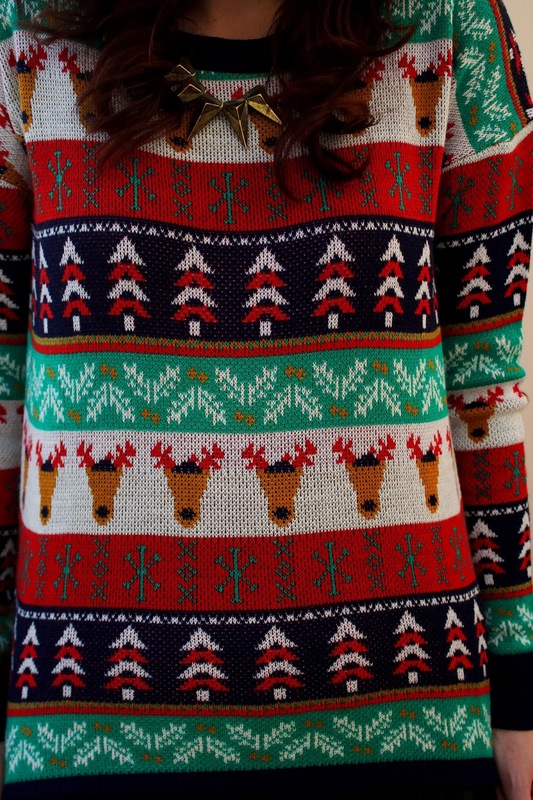 As for this Christmas sweater: I think it's awesome! I actually don't think it's too garish as far as Christmas sweaters go. It's really wearable with the pretty colors and great print. It's just so cute on you! Awesome prints and colors for Christmas season. Display of printed rows are looking very beautiful. If this could be available in more different colors then i would there in queue to get my size. 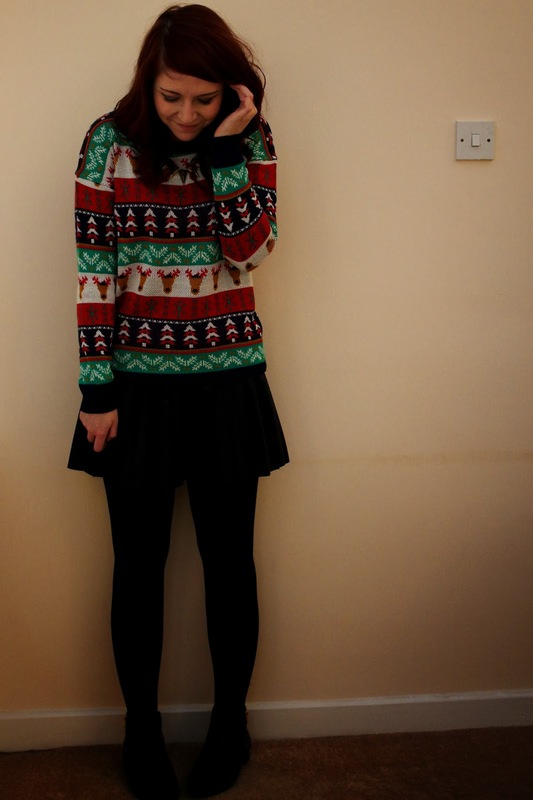 christmas jumpers with quality stuff and design should be the first choice for every person.